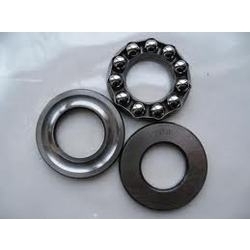 We are the leading supplier and dealer of Industrial Bearing Units in chennai. We trade and supply Industrial Bearing Units from chennai to all over Tamil Nadu, Andhra Pradesh, all states in India and Exports. We have gained expertise dealer and supplier of Industrial Bearing Units and offering an extensive range of Industrial Bearing Units. These Industrial Bearing Units are procured from the reliable vendors of the market. These Industrial Bearing Units products are manufactured using superior quality raw material in accordance to industry quality standards and norms. Extensively these Industrial Bearing units are used in various such applications such as agricultural machinery etc,. These Industrial Bearing Units products are highly appreciated and demanded among the clients for their robust construction, excellent performance and longer service life. Further, customers can avail these Industrial Bearing Units products from us at market leading prices. We are the leading supplier and dealer of Type Epic Bearing Units in Chennai. We are trade and supply Type Epic Bearing Units from chennai to all over Tamil Nadu, Andhra Pradesh, all states in India and Exports. We are into trading and supplying a qualitative range of Type Epic Bearing Units. Extensively these Type Epic Bearing Units are used in various application areas such as agricultural machinery, conveying equipment and construction machinery. TheseType Epic Bearing Units are availed to customers in various spherical designs. These Type Epic Bearing Units are manufactured at our vendors end, using high-quality raw material and advanced technology. Owing to their excellent performance, longer functional life and robust construction, these Type Epic Bearing Units are highly appreciated among the clients. 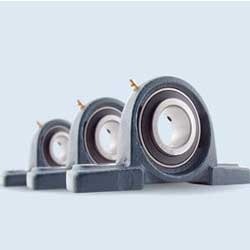 We are the leading supplier and dealer of Mounted Bearing Units in Chennai. We trade and supply Mounted Bearing Units from chennai to all over Tamil Nadu, Andhra Pradesh, all states in India and Exports. We are instrumental in offering a wide range of Mounted Bearings Units. Therse Mounted Bearing Units are mounted in appropriate housings to form y-bearing units. Further, these Mounted Bearing Units products are also used to accommodate moderate initial misalignment. These Mounted Bearing Units are generally do not permit axial displacement. 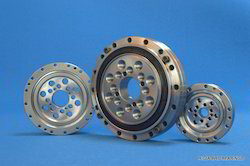 Extensively, these Mounted Bearing Units used in various industries such as engineering and automobile industries. These Mounted Bearing Units are highly known for their accurate designs, supreme efficiency and longer service life. Further, customers can avail these Mounted Bearing Units products from us at market leading prices. Harmonic reducer drive is a special form of power transmission, it has the advantage of high transmission ratio, high precision, high loading capacity, high efficiency with light weight and small size compared with conventional transmission mode. BRS CSF-XRB series crossed roller bearing is specially designed for CSF harmonic reducer. Its outer ring is separable and inner ring adopt integrated structure. Both inner ring and outer ring are processed with many precision holes for connecting with working parts. 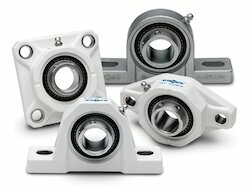 Looking for Industrial Bearing Units ?